NEW YORK - March 15, 2019 - PRLog -- Aerohive has opened a new data center in Sweden to accelerate the adoption of cloud-managed networking in the region. With the launch of the new center, Aerohive will now have 13 public and private regional data centers in a total of 11 counties. The Milpitas, Calif.-based networking and cloud management specialist provides public and private cloud data centers that are microservices-based, offering carrier-grade scalability and deployment flexibility for customers, reports CRN. "We want our products to be flexible enough to fit every scenario or situation," said the company. "For customers in Sweden, they now have an additional choice. They can use HiveManager Public Cloud and have the data remain in their country. [This] will allow customers to use all of Aerohive's great features in a turn-key package." Blast #2: Meanwhile, GigaSpaces has released a unified analytics service as part of its in-memory computing platform called Analytics Xtreme, which accelerates access to data lakes and data warehouses to enable faster and smarter analytics. The new service is designed to simplify the development of analytics applications and enables them to leverage both streaming (or real-time data) and historic data, reports SDX Central. Data lakes are built for performing batch analytics on primarily historic data. The company claims to have accelerated access to data lakes by 100 times. Blast #3: Here's was interesting article related to Kubernetes... It has basically becoming the new standard for open-source containers, but new users sometimes struggle learning some of the ins and outs. Cloud experts at Jax took a look an Ansible-based tool which helps users deploy a production ready Kubernetes cluster called Kubespray that supports a long list of cloud providers as well as popular Linux distributions. Key features of Kubespray include highly-available clusters, composability, and it supports continuous integration tests and has configurable parameters. Blast #4: This just in: DevOps is not just the latest buzzword – it's a cultural change that requires fundamental changes at every level of an IT organization. Now you can contact RestonLogic for a free half-day assessment session where they will provide a customized plan to accelerate development and deployment processes by implementing DevOps and Agile Development practices using tools such as Chef, Ansible, Puppet, Docker and Continuous Integration / Continuous Deployment (CI/CD) processes. 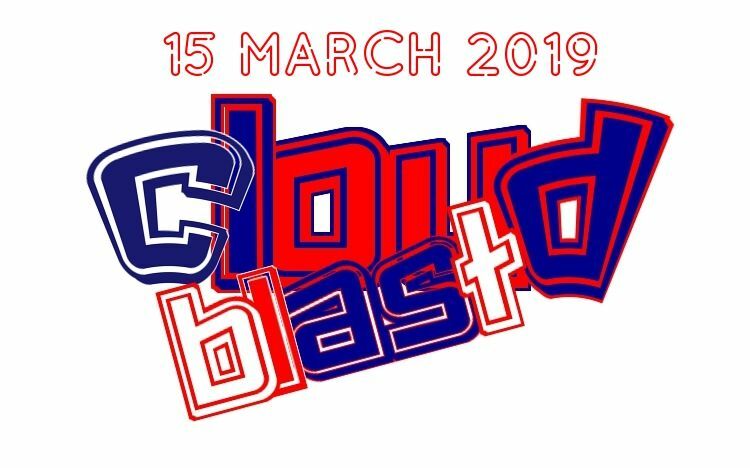 Blast #5: Did you hear that Microsoft is open-sourcing its cloud-compression algorithm and optimized hardware implementation for cloud storage. Microsoft is contributing that algorithm, known as "Project Zipline" plus the associated hardware design specs and related source code to the Open Compute Project, reports ZDNet. "Project Zipline is a cutting-edge compression technology optimized for a large variety of datasets, and our release of RTL (Register Transfer Language) allows hardware vendors to use the reference design to produce hardware chips to allow the highest compression, lowest cost, and lowest power out of the algorithm" Microsoft officials said. Blast #6: Are you interested to hear some ways to Improve your team's continuous security? DevOps dot com says this something you have to continually train for—a constant cycle of risk discovery, prioritization and skill-building to close the gap to get results. They see several broad elements are needed to achieving this goal including Risk Discovery, Policy and Standards, Mitigation and Improvement and Continuous Improvement. The site says continuous security is all about becoming more efficient at this entire life cycle and reducing the time to risk discovery and the overall cost of mitigation. Blast #7: And Lastly, Huawei says it will adopt Open Compute Project's "Open Rack" in its new global public cloud data centers. The use of Open Rack will increase Huawei's sustainability by using less energy for the servers and reduce the time it takes to install and maintain racks. OCP formed the Open Rack initiative in 2013 to create an open standard for server rack design. The group has since developed a standard built for data centers that integrates the rack directly into the data center infrastructure. This standard includes a holistic design process, which includes the data center power grids and the gates in the chips on each motherboard. The main benefit of Open Rack is that it decreases the total cost of ownership and improves the energy efficiency of servers in the scale compute space, according to OCP. Huawei joins Facebook, Google, and Microsoft as adopters of the standards. CloudBlast is produced by RestonLogic, cloud wizards leveraging 10+ years helping companies automate, transform and build highly-secure and stable systems. Click over to Twitter at RestonLogic to catch up with every bit of Hot News from the Cloud.